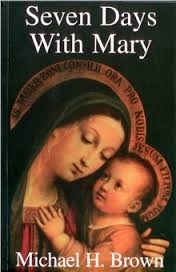 A week of devotions to special sites that involved the Virgin Mary. Special prayer and histories of historic and hidden apparitions and visions! Photos. Journey to remote sites you've never heard of or learn some hidden facts about places you have! A new prayer book that's like going on retreat. Each section has the history of a major apparition and a long prayer that includes novenas, special supplications, and litanies. Autographed.